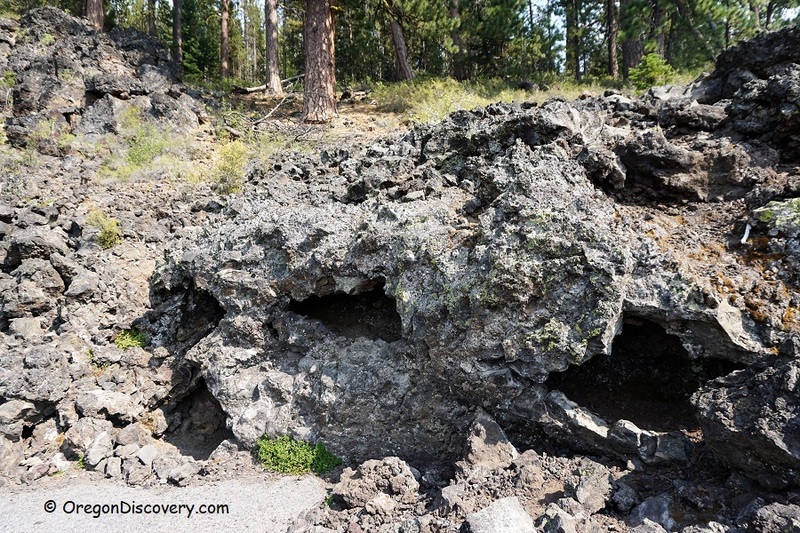 Located a few miles south from Lava River Cave, Lava Cast Forest is a part of the Newberry National Volcanic Monument. 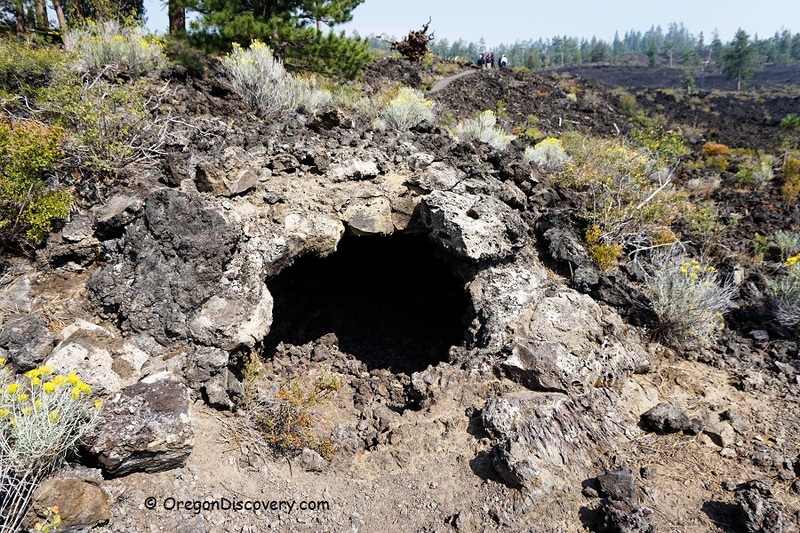 Lava Cast Forest was established in 1942 as the geological special interest area. 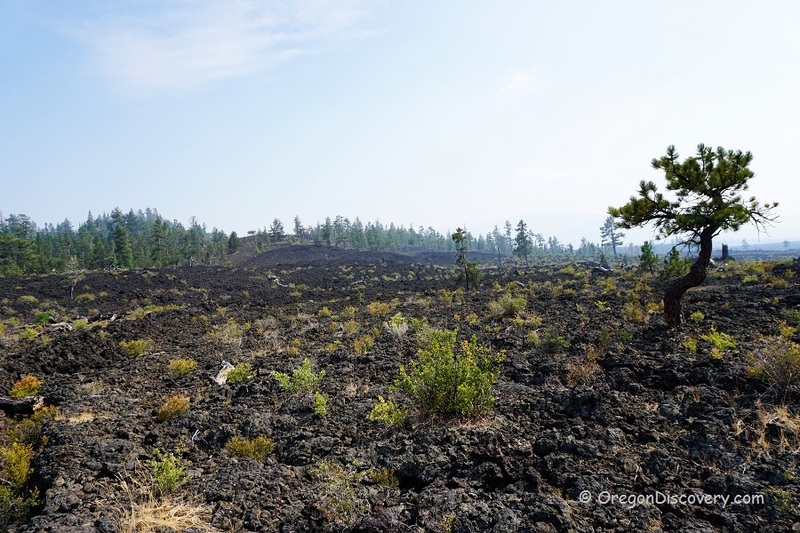 This fantastic forest has been created by volcanic activity of the Newberry Volcano. 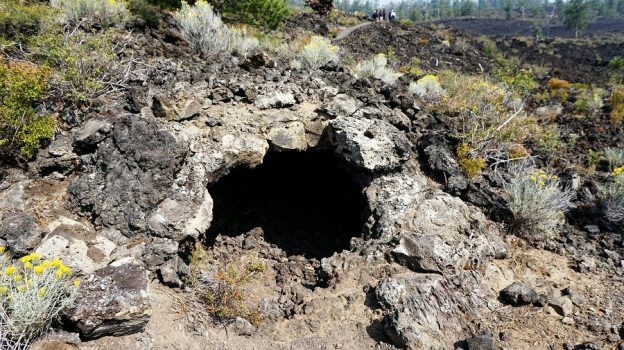 The most recent eruption is dated 7,000 years ago. 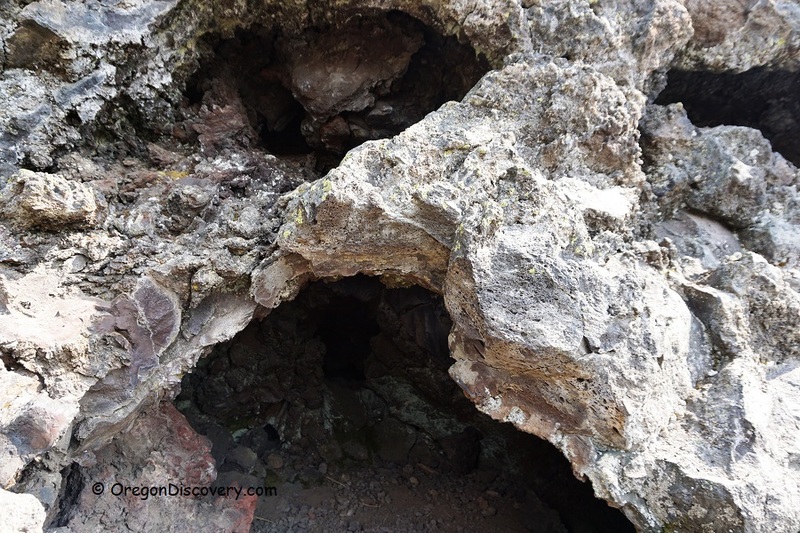 Hot molten lava from the volcano engulfed the ancient trees and created solid tree molds. The lava covered the trees and burned them up. Steam from the burning wood cooled the lava and the hollow lava molds have been formed. 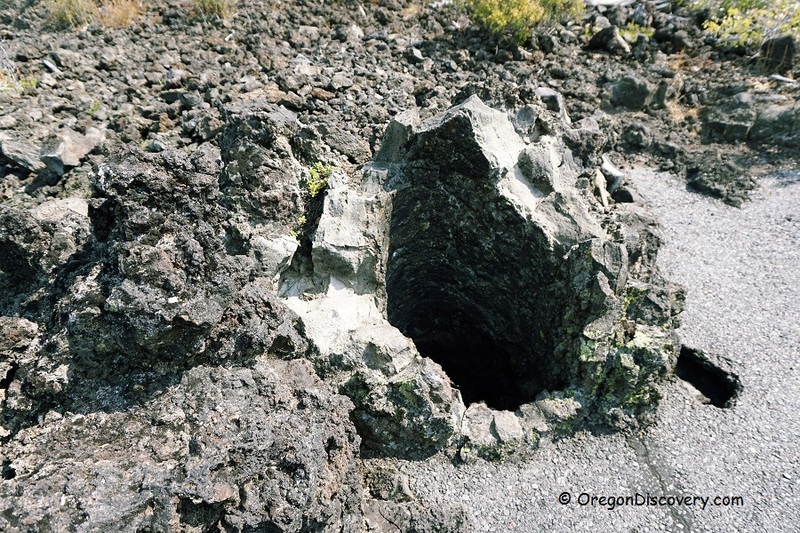 Roots of the ancient trees still exist under the lava flow. The most widely known example of such a phenomenon would be the Italian city of Pompeii. The sudden eruption of the Mount Vesuvius caught townsfolk by surprise. Many of the citizens of Pompeii as well as pets and livestock died there they were. Bodies of humans and animals were covered by lava and their remains burned to leave the mold of the body behind. Italian archaeologists developed a technique of making casts of the bodies and items by pouring cement into the hollows. Over time, the new trees slowly have been growing up on the lava terrain that appeared to be lifeless. Growing in the harsh environment, many trees have spiral forms that is way to distribute water and nutrients. This contrast young twisted forest and bright flowers against blackish lava rocks and tree molds might make you feel you are somewhere in a mystic alien place. Lava Cast Forest Interpretive trail is an one-mile loop self-guided trail. Walk from the parking area and observe and explore the fascinating volcanic forest. Lava Cast Forest is open to visitors from the beginning of May until the end of September. Toilet and picnic tables are available on site for visitor’s convenience. Be advised that Forest Service Road 9720 which takes you to the Lava Cast Forest is a rarely maintained gravel road. You should drive approximately 10 miles on this road in order to see this amazing area. Note. Casts are formed when molds are filled with some materials. Technically, Lava Cast Forest is rather trees molds than casts. 199 miles southeast of Portland. Drive 9 miles on a gravel Lava Cast Forest Road to the destination .